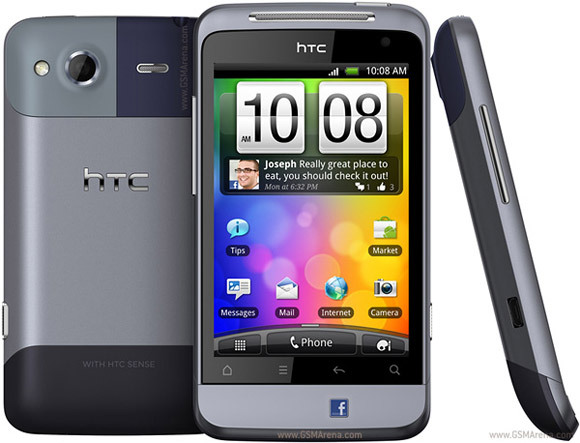 We saw HTC debut two new Facebook-centric devices back at MWC 2011, the QWERTY based Cha Cha and the unibodied HTC Salsa. The Salsa now looks like it'll making its way to stores with, first availability coming to India. An Indian retailer already listed the HTC Salsa as available, where it's listed for 20,499 INR (a snip under $460 or around €316). The Salsa is the second one of the two Facebook-centric HTC announced back in February and so far it hasn't been available for sale. HTC Facebook-centric phones have a hardware Facebook button on the front that's context sensitive. We spoke about how it changes the way your interact with the device here, when we first heard about it just after MWC this year. The Salsa comes with a 3.4" capacitive touch display (320x480 pixels) that's protected by Gorilla Glass. You also get microSD storage capabilities up to 32GB, Wi-Fi 802.11 b/g/n, Bluetooth (3.0), HSDPA and HSUPA support, a 5MP camera on the back and a front-facing VGA video call camera on the front all topped off with Android Gingerbread. The processor is currently sited as being clocked at 600MHz, but it's likely to jump to 800MHz by release to follow in the footsteps of the Cha Cha. The retailer lists the HTC Salsa as available now and deliverable within four business days. And we guess it's only a matter of time before it gets to Europe. Do you plan on having a taste of the Salsa, let us know your thoughts in the comments.